Fringe Ford is a beautiful semi-deciduous forest in the Western Ghats of India, nestled close to the borders of the state of Kerala with Karnataka. 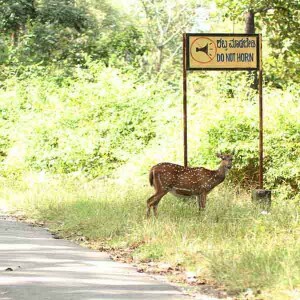 It directly abuts the Wyanad Wildlife Sanctuary, and hosts a full complement of Indian wildlife, including but not limited to leopards (Panthera pardus fusca), tigers (Panthera tigris), elephants (Elephas maximus indicus), Great Indian gaur (Bos gaurus), dhole (wild dogs, Cuon alpinus) and gray langurs (Semnopithecus hypoleucos). The forest at Fringe Ford has remained intact by good fortune. It was originally acquired by a British settler in 1912 for the purpose of pepper, cardamom and coffee agriculture, but never attained its full potential. Ownership of the land changed hands around 1970, and except for a small lodge maintained by a small staff, the forest and wildlife therein have been left to run their natural course. The result? A pristine forest that represents everything beautiful about Indian forests. FPI has been keen to establish a field site in India for several years now, and after just one visit to Fringe Ford in August 2014 our minds were made up. The forest canopy is as variable as we have grown accustomed to seeing in the Peruvian Amazon. There are several perennial streams, waterfalls (large and small), a 365-degree view just a short hike up to the surrounding mountain ridge, megafauna galore (more information further down this page), and a conspicuous absence of mosquitoes! In short, this is as exciting as it gets for biologists, anthropologists, wildlife enthusiasts and photographers. Entry to FringeFord is gained by a winding dirt road that goes down into a quiet, hidden valley. Base camp is small, with 4 main buildings – two cobblestone cottages and a kitchen – all connected by one overarching roof. The washrooms are stylish and resplendent with even hot water, which is a nice comfort for showers taken during the cooler nights. Common areas, including the dining area, are all outdoors. There is electricity all day, except for the occasional power outage. All housing options are the same, and extremely comfortable. Each bedroom has 2 to 3 beds and an attached washroom, and the site can hold 20 people comfortably. Rooms have shelving, large comfortable beds, electricity, and bathrooms with towels, soap, toilet paper, and hot water. There is no need for a mosquito net, due to the high elevation and the conspicuous absence of mosquitoes at the site. It is possible to do laundry, but we recommend bringing a set of clothes for the full stay. Visitors must bring their own repellent (though this is only used at lower elevations than base camp), medications, headlamps, batteries, and battery chargers. Food at FringeFord will exceed your expectations and then some. The staff make excellent South Indian curries, rice, breads, and deserts. Whether an omnivore or vegetarian you will enjoy what you eat. Meals are served family style around a large table. The weather at FringeFord is pleasant year-round, with lots of rain in the months of June through September. 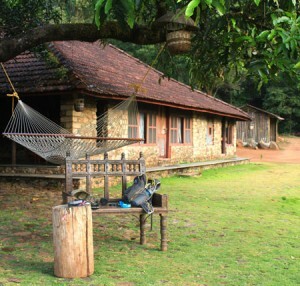 The site is in the Western Ghats mountain range, so the air temperature drops to slightly chilly in the evenings. A simple sweatshirt is more than enough to feel warm while lounging around at night. This site is a curious combination of urban and remote. While there is no cell phone signal or internet at the camp itself, fulfilling its promise of a real getaway, these facilities are available a mere 40 minutes from the camp in a nearby town. To make a cell phone call, you have to hike up a dirt road to approximately one kilometer from camp. You’ll pass a large, gorgeous waterfall along the way, so it isn’t altogether a bad deal. There is a landline at camp for emergencies only, but this will not be available for international phone calls. Despite the feeling of utter isolation, FringeFord is only a 40 minute car ride to a town that has terrific internet, cell phone coverage, hospitals, and just about anything else one might need. Other than when at base camp, there is comprehensive cellular phone coverage in India and a number of nation-wide networks that accommodate foreign travelers from all countries. One can fly to Bangalore on a number of international airline carriers. With advance notice, it is possible to book a roundtrip ticket from Chicago or Washington D.C., USA, to Bangalore, India, for ~$1000 USD, but these prices will vary depending on your origin. As with any other location, delaying booking a flight will increase your travel prices. Be prepared for considerable jet lag, but time for recovery is built into the schedule. Here are some good places to begin searching for flights online: Kayak, Travelocity, Orbitz, Expedia. Once you get to Bangalore, your subsequent travel will occur along with the rest of the course. You will travel by car from Bangalore to Mysore, where you will spend 2 nights visiting bird sanctuaries, markets, and resetting your body clock. The journey to Mysore takes ~ 6 hours and we will stop for a meal along the way. 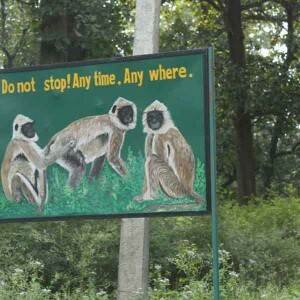 There are two ways to get to Fringe Ford – one that is quicker and uses a highway (we will take this on the return journey to Bangalore) and the other that is slower but a lot more scenic with high chances of viewing wildlife right from the car. We will take this slower route (~3h) to Mananthavadi, the closest town to Fringe Ford. There, we will be met by the staff of the field station with more rugged jeeps that will complete the last 40 minute stretch of the drive to the station itself. If you join one of our programs, you will receive much more detailed information on travel. You can get an e-tourist visa as a US citizen applying for an Indian visa, which is a quick way to get a visa upon arrival in India by acquiring prior electronically generated approval in the US. 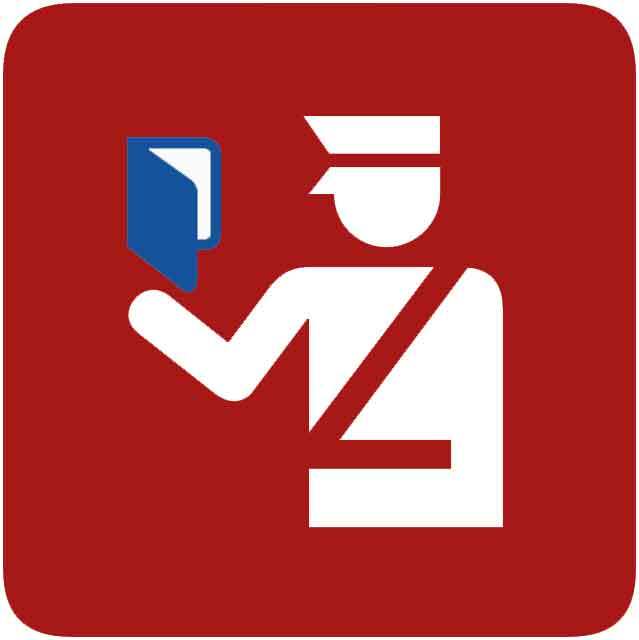 The final stamp in your passport happens when you land in India, after biometrics are taken at the airport. Note: You must not apply earlier than 34 days before you travel to India, processing time is ~3 business days, and it costs $49 with Travisa. You have to provide a valid passport and confirmed round-trip flight tickets to apply. It will only allow you to enter the country once, for a total duration of 30 days. You cannot leave to visit any other neighboring country and return back to India to catch a flight to the US with this visa. You also can only have 2 such visas in a 12-month. You can also apply for a traditional tourist visa, which can take a little longer to process and which involves sending your passport to an agency and getting it returned. You can, however, get a ten-year multiple entry tourist visa for ~$125 with a 6-10 business day turnaround, depending on where you live in the US and which consulate you approach. This visa should allow you to enter and leave the country freely during your stay, facilitating any additional travel in the region if you so desire. If you are not a US citizen, Travisa is probably a good agency to use since it does offer some global services. Otherwise, contact your local Indian consulate and ask them for help. In many countries, it’s possible to walk-in your papers to the consulate in-person and get a visa both quickly and independent of any agency. In some others, you have to go through an agency. This will vary by country. IMPORTANT: If you are Indian by origin, or have recently switched from Indian to other citizenship, you have somewhat of a longer road ahead of you so begin the visa process quickly for it can take ~2 months to complete.